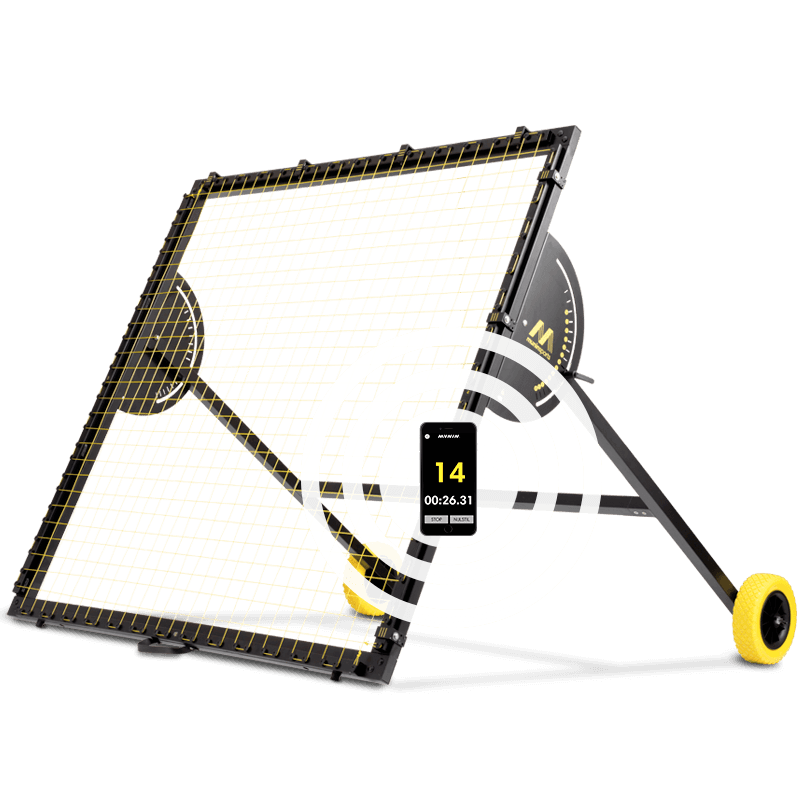 Functional rebounder providing the basics needed for self-training in the backyard/garden. The 57" x 57" / 145 x 145cm Talent Basic edt. offers a superior rebound effect and can be adjusted to 2 different angles.  Superior rebounder providing everything needed for self-practive in the backyard/garden. The versatile 57" x 57" / 145 x 145cm Talent Original edt. features 12 settings allowing you to practice any in-game situation. With a strengthened construction the 57" x 57" / 145 x 145cm Talent Club edt. 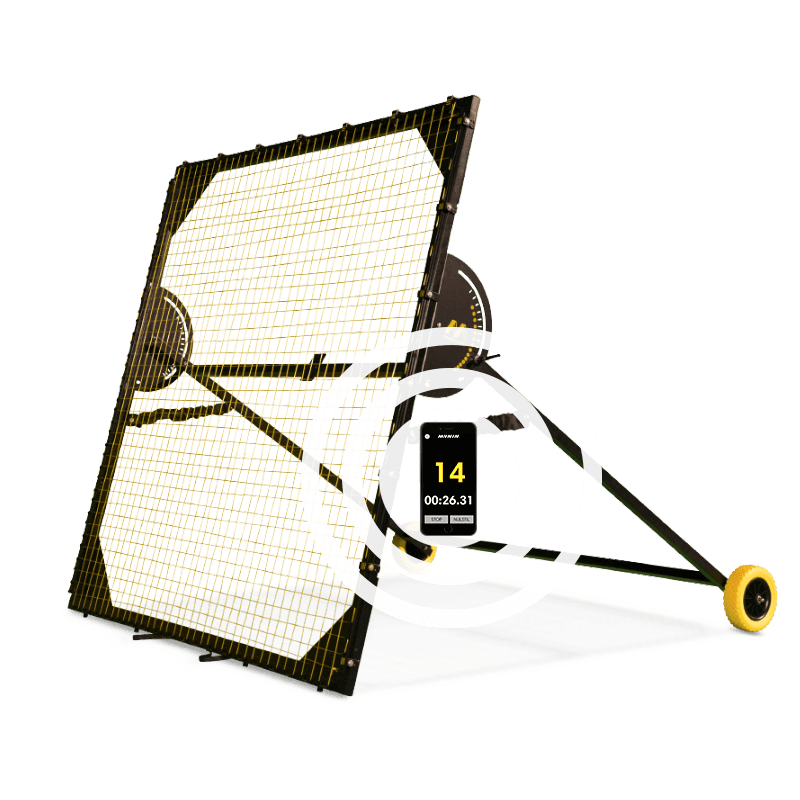 is suited for training sessions and individual use in clubs and academies. It can be moved around the training ground with ease. Multipurpose and durable 78" x 78" / 200 x 200cm rebounder made for all year round excessive use at football clubs, schools and academies. With 12 settings Academy’s flexibility allows any player to use it. There is something magical about receiving a pass. When the ball comes to you in a match or in training it belongs to you, and you have only a brief moment to decide what to do with it. Even before you receive it, you wonder what you should do. If it is high pass you might want to bring it down with the chest or make a volley. If you get a flat pass you might want to pass it on to a teammate with a first time pass or flick it past your opponent. It's a fantastic feeling, but when you have completed the pass or finish you know it will take some time before you get the ball again. Unless you train with a m-station. The m-station returns all your passes. High, flat, hard, soft. You decide. m-station sends it perfectly back to you every time. The world's best rebounder for football. It is used by thousands of boys and girls across Europe and also in some of the best football clubs in the world. Real Madrid, Bayern Munich, Borussia Dortmund, Arsenal, Ajax Amsterdam, Benfica and Manchester United have selected m-station because it is the king of rebounders.